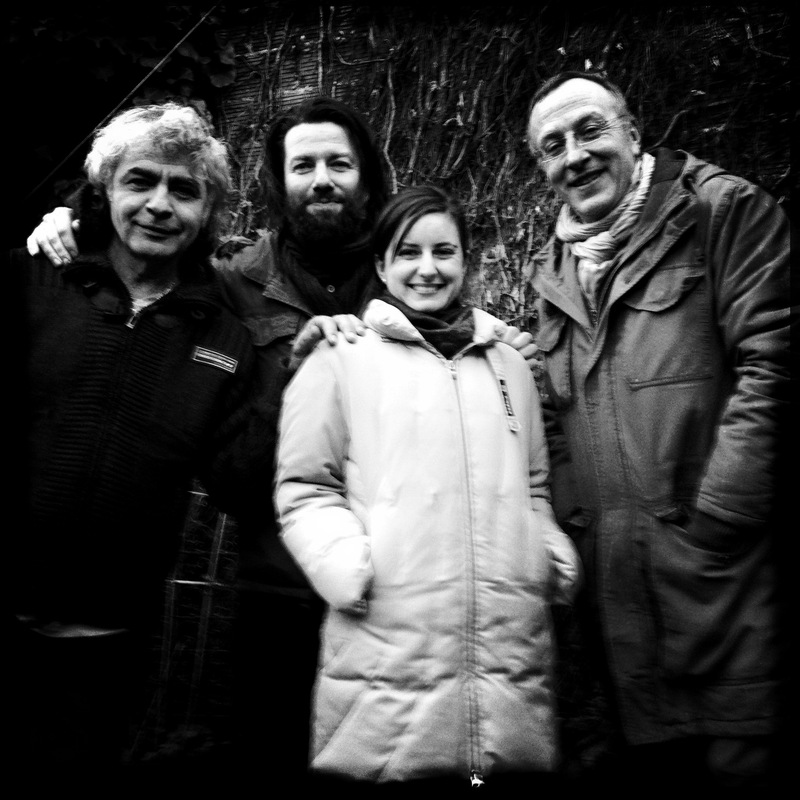 Rue de mémoire was recorded in a collaboration with the world famous musicians Alain Plume, cajon drummer from the touareg band ”Atri N´ Assouf, bass player Zahir Aribi from the touareg band ”Tarlamt” and violin player Marta Amico who works for ”Festival au désert” and who has performed with several Touareg artists. We arrived in Bagnolet, Paris France on friday afternoon the 1st march, me and the photographer Jenny Qvick. After some Pastis and coffe at Cafe Liberte we went to Alains home for some more refreshments and time to catch up. Soon Salam and Toulo from the touareg band Tarlamt arrived. In the evening I performed with Tarlamt at Cafe Liberte with my didjeridu. It worked pretty well together, the didjeridu and the sound of the desert, the touareg blues. We had the best time with great music, food and drinks. We stayed at Zahirs place for the night. Saturday gave us some time to be tourists, we took the classic Metro down town. Next stop the mighty Eiffel Tower. I know it´s a tourist trap, but still, it´s worth a visit, the view is mindblowing, and as you can see we got the cover picture for our new single! Restaurant Czes Ammad was the place for saturday night. Live on stage Tarlamt, Nabil Othmani and Ahmed from Atri N´Assouf to mention a few. It felt like the good old 70-s in England, Paris has a pubscene alive and filled with energy. Night after night fantastic live concerts in pubs so small you barely can move. After a long night with heaps of Pastis, wine and beer we went up around 11.00 on sunday and walked to the recording studio, Studio Rustik was located just around the corner. It was a mindblowing experince to work with these highly skilled and professional musicans. Alain Plume guided us trough the recording session. After me, Alain and Zahir had done our recordings a little fairy named Marta Amico arrived with her violin from the 1800th century. When she started to play, gee, I´ve got goosebumbs, sono innamorato, I was just blowned away, so beautiful. What can I say? Thank you Alain, Zahir and Marta, merci beaucoup for the hospitality, generosity, friendship and for making a dream come true. Thank you Jenny Qvick for taking the beautiful cover picture of our new single, Rue de mémoire. 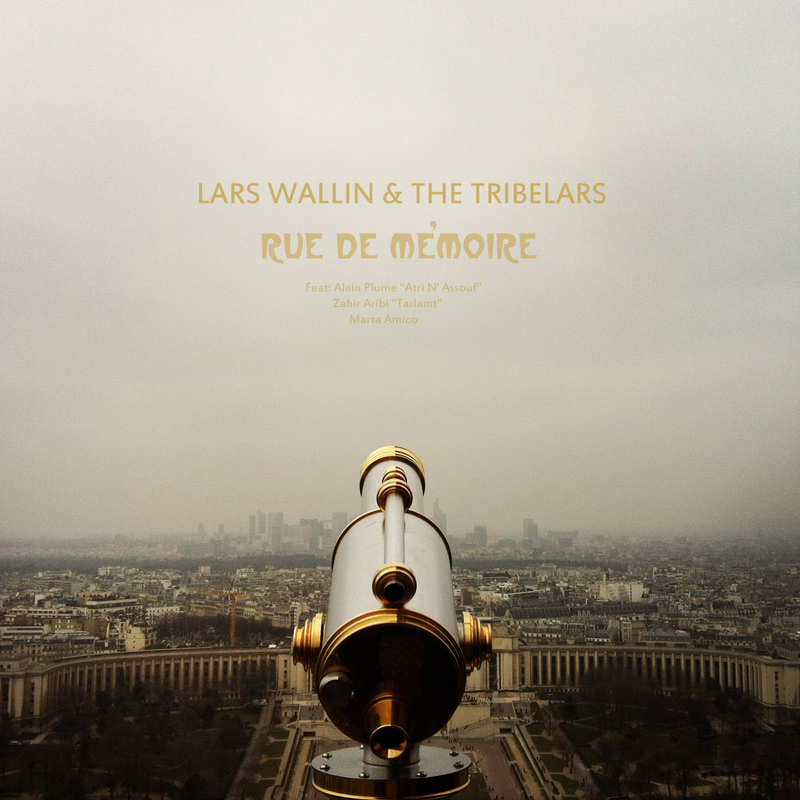 Lars Wallin & The TribeLars: Rue de mémoire. Feat: Alain Plume ”Atri N´Assouf”, Zahir Aribi ”Tarlamt”, Marta Amico ”Festival au désert”.